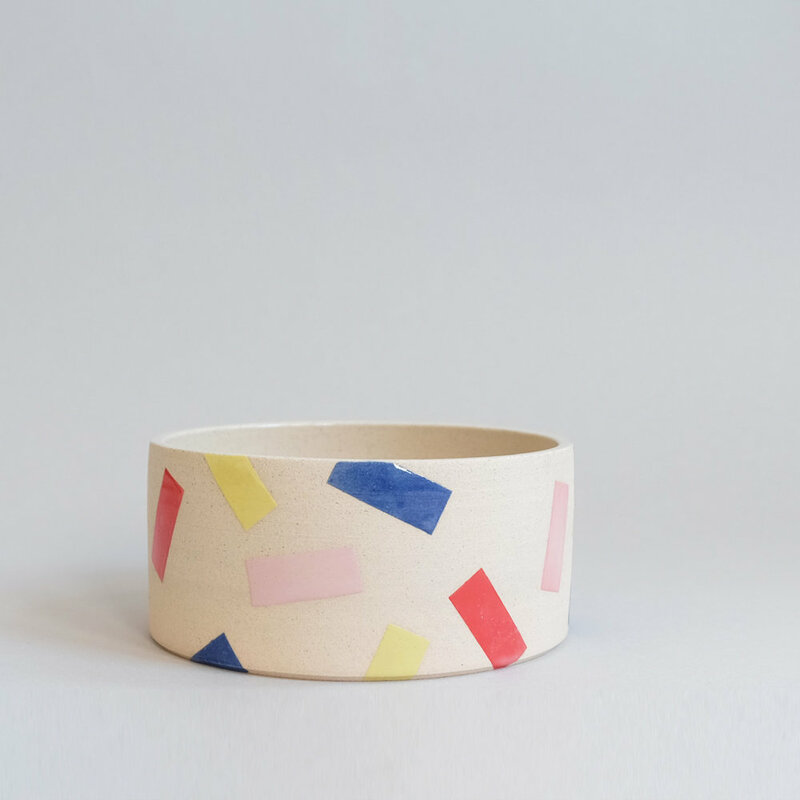 Having studied Ceramic Design at Central Saint Martins, I now work from my studio in Hackney Downs, London, where I create a range of functional ceramics for everyday life. My work celebrates the intrinsic qualities of the clays I use, showcasing their natural tones and textures, creating a tactile finish. I prefer to add colour and surface pattern before glaze firing – hence the name Lazy Glaze! This gives all my pieces a distinctive yet understated design that fits perfectly into any home. Explore my shop to find products including coffee cups, planters, plates, light pull cords, incense holders and much more. Get in touch to find out more about my work and commissions, I'll be happy to help! Stoneware jug made for a Mother's Day gift. The off-white glaze has blues and pink coming through. Ceramic elements commissioned by Burberry for their February Show – The Cape Reinvented. A pair of personalised porcelain beakers to be given as a wedding gift. Made for a Norwegian wedding where shots are to be poured out from these amongst the speeches.